Discover some interesting and unusual facts about tigers, chances are you probably don’t know any of these. Domestic cats have eye pupils with slits but the tiger has round round pupils. This is because tigers hunt primarily in the morning and evening whereas domestic cats prefer to hunt at night. Tigers mark their territory with urine to warn off other tigers but funnily enough it actually smells of buttered popcorn. Tigers only roar to communicate with other tigers far away. When threatened they hiss and fuff similar to a house cat. 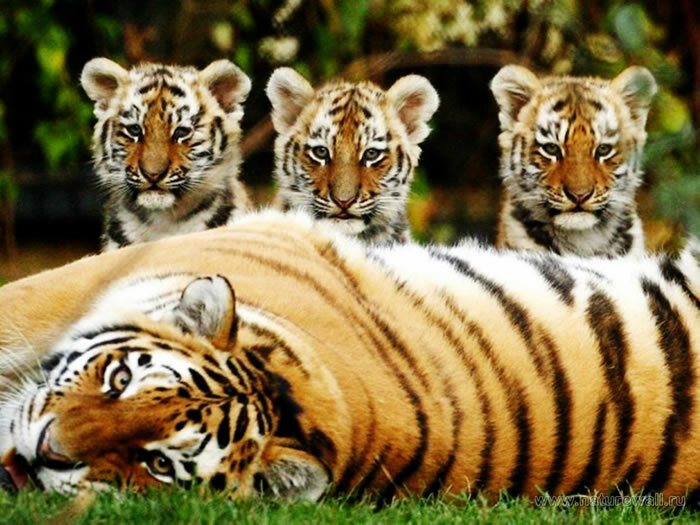 Unlike lions and other cats the male tiger will generously let the female and cubs eat first. Each tiger has their own unique pattern of stripes. The markings that appear on a tiger’s forehead are the same as the Chinese character for king. If you shaved all the fur off a tiger you will still be able to see it’s stripes on the cat’s skin. Most cats hate water but tigers love it. They play in it as cubs, bath in it as adults and have even been seen hunting int water. The Siberian tiger is the largest cat in the world. It can grow up to 3.5m long and weigh 320 kg (700 lb). For the first week of a tiger cub’s life it is completely blind. Only half ever make it to adulthood. A tiger prefers to attack by surprise, if the tiger knows he or she has been spotted it is very unlikely it will attack. In some places in India the locals wear masks with a head facing behind to prevent tiger attacks. Tigers are unable to pur so instead they show their happiness by squinting or closing their eyes. A tiger can run at 60 km/h but this is only possible for short distances. Tigers have been seen imitating the sound of a prey to attract another in for a kill. They do this with bears and quite often have success. When a tiger licks his wounds the saliva doesn’t just clean but also disinfects the area too.. In the last 80 years three subspecies of tiger have gone instinct. 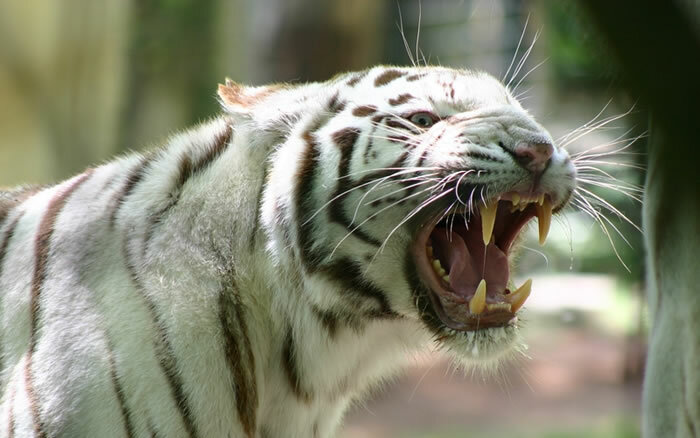 The Bali tiger was hunted to extinction in Bali as the locals believed it to be evil. The Javan tiger was also hunted but numbers dropped more due coffee and rubber plantations taking over it’s habitat. The Caspian tiger went extinct because of excessive hunting of both it and its prey. Whether in captivity or in the wild, the tiger will live to around 25 years of age. There is a greater number of tigers in captivity in America than there are roaming the wild. They can also be called a streak. A tiger and lion that mated in captivity have produced a new type of big cat called a Liger. These ligers can grow even bigger than a tiger.